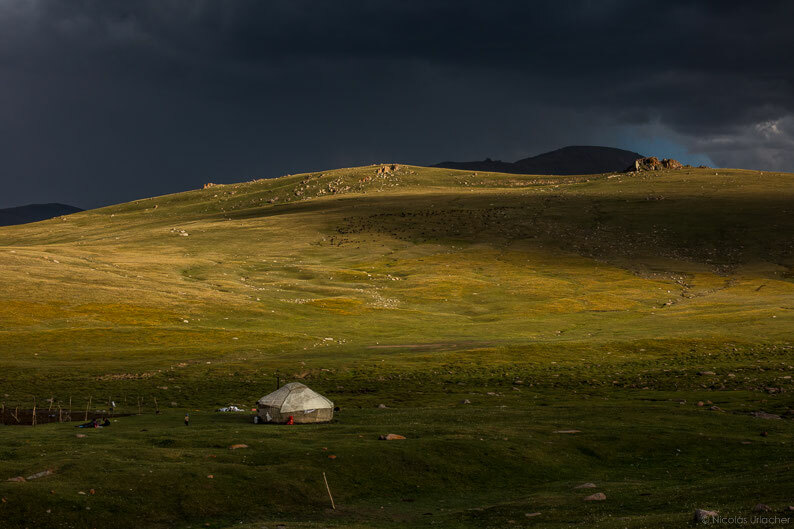 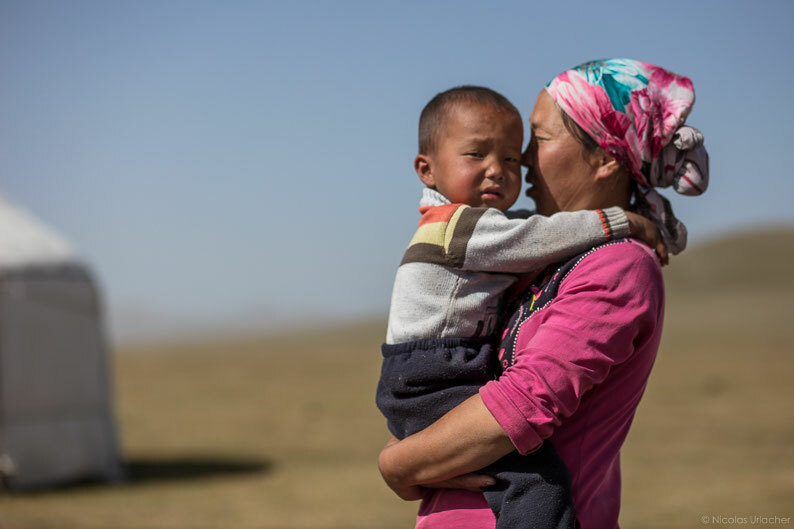 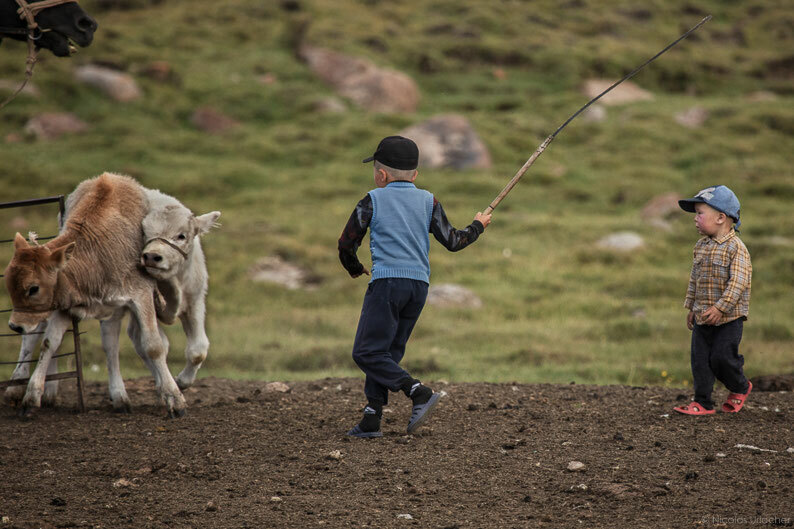 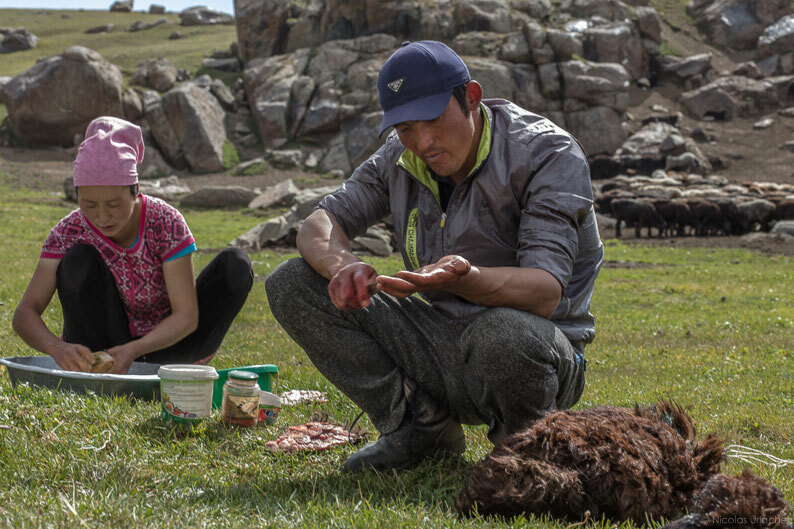 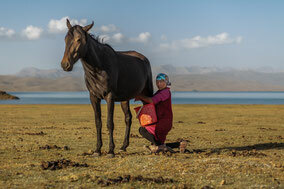 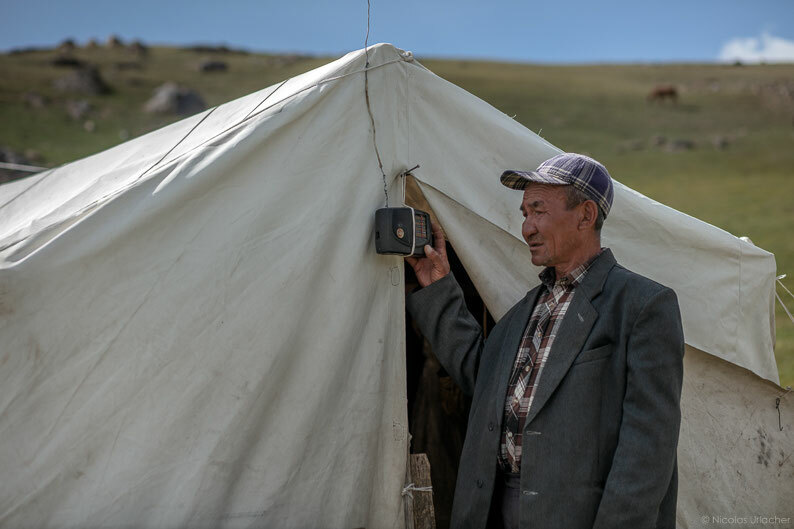 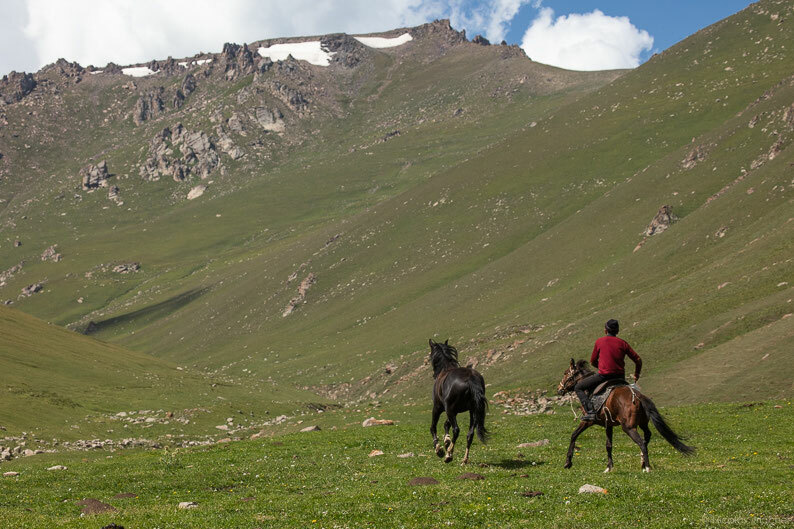 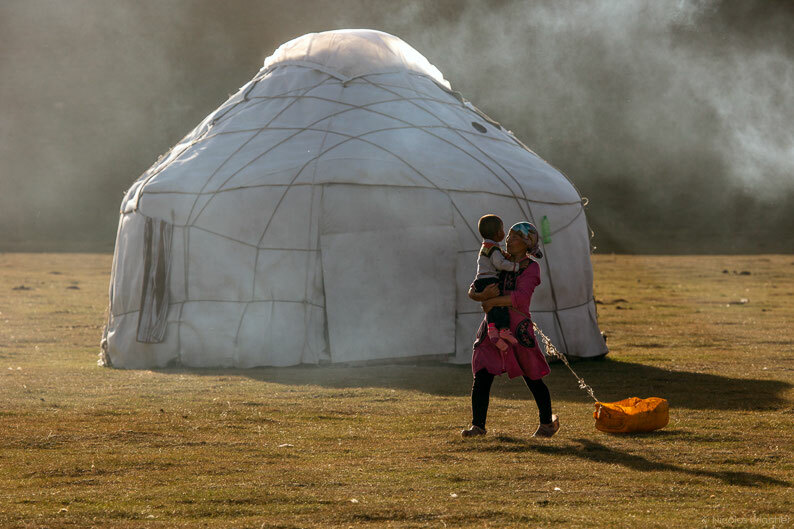 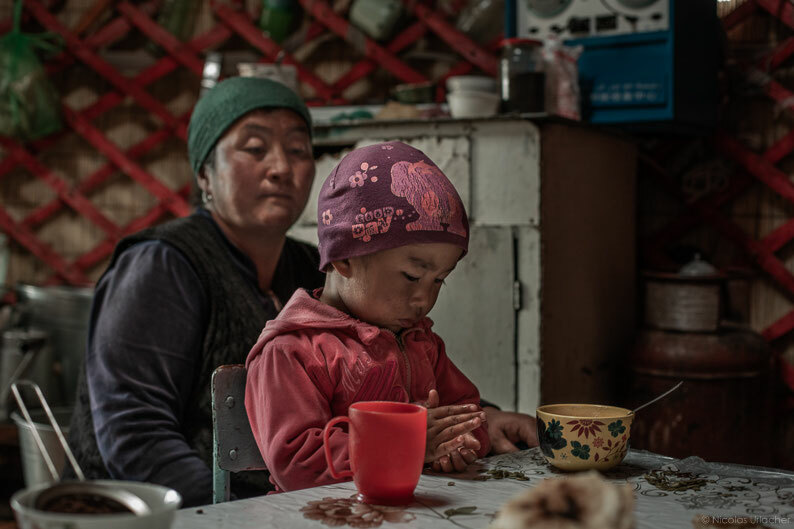 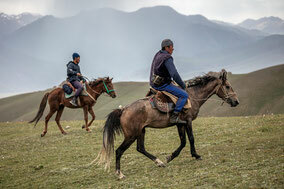 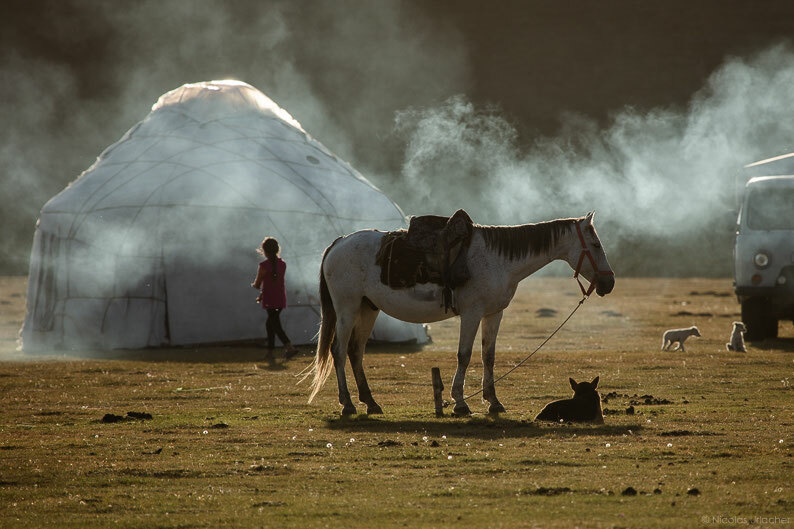 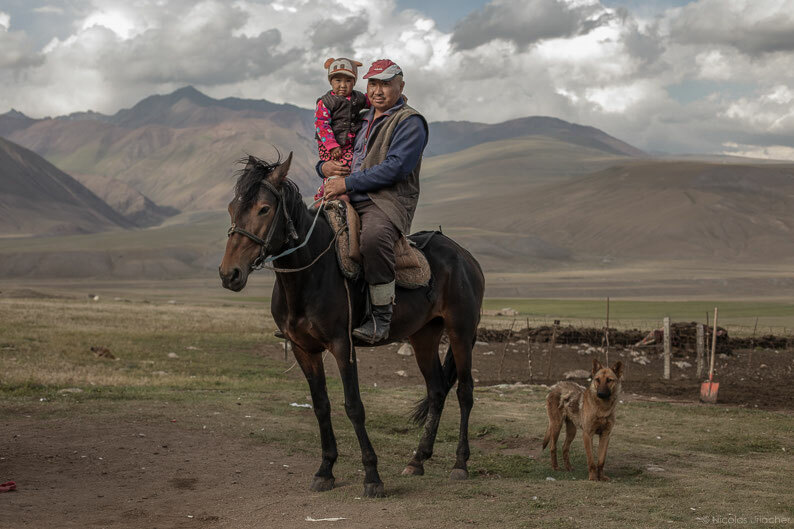 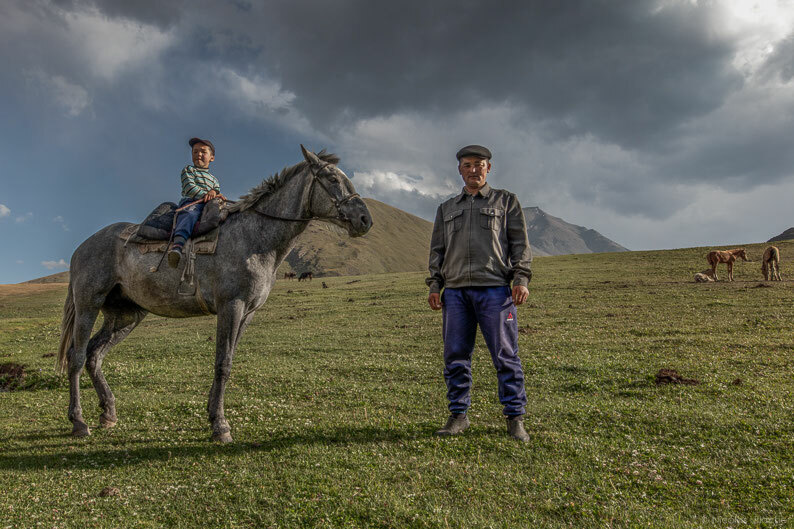 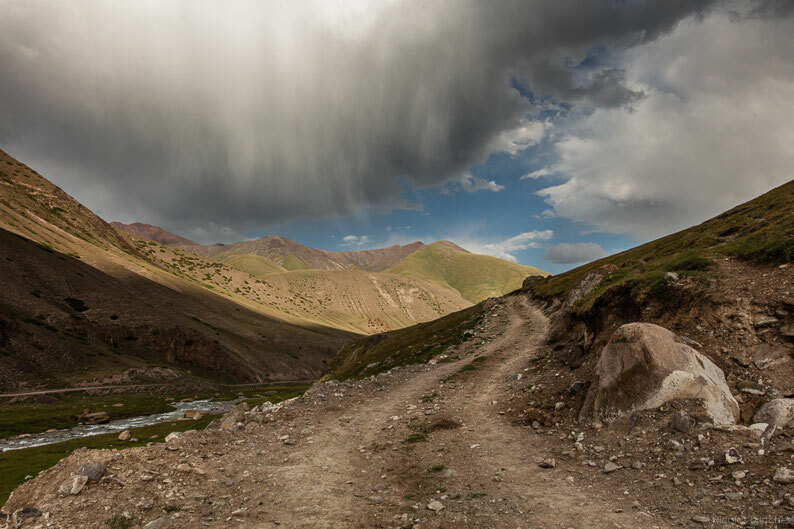 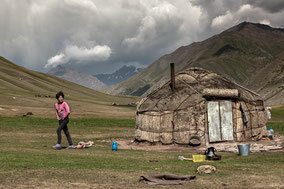 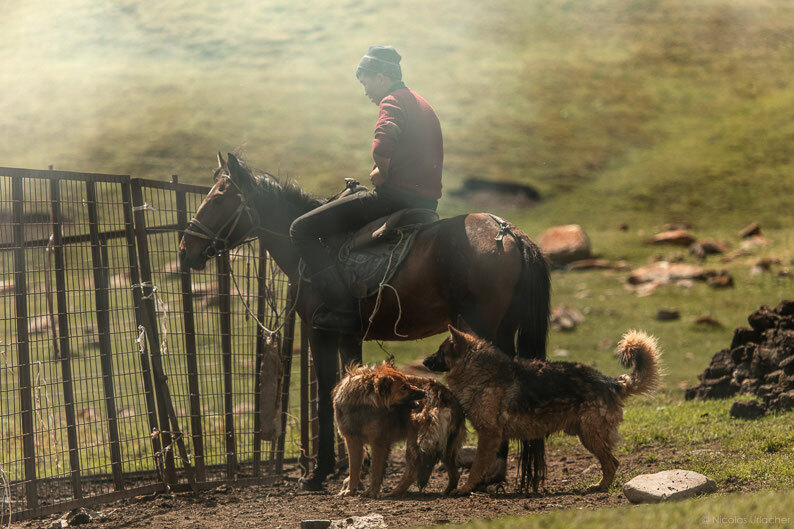 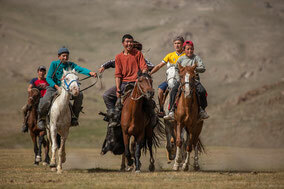 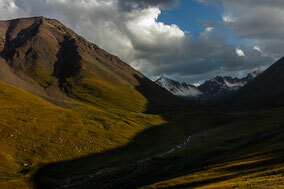 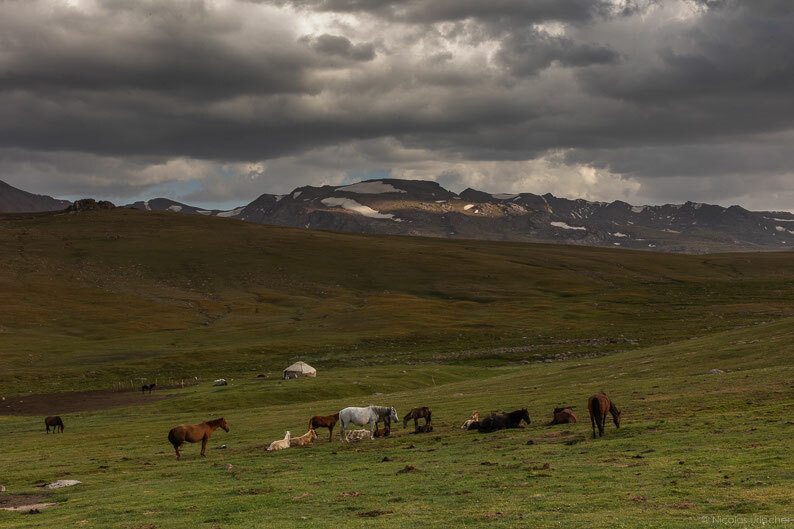 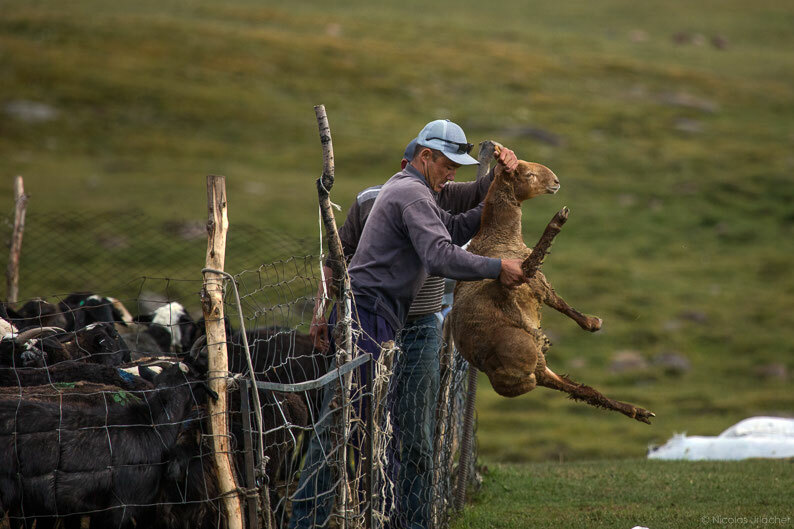 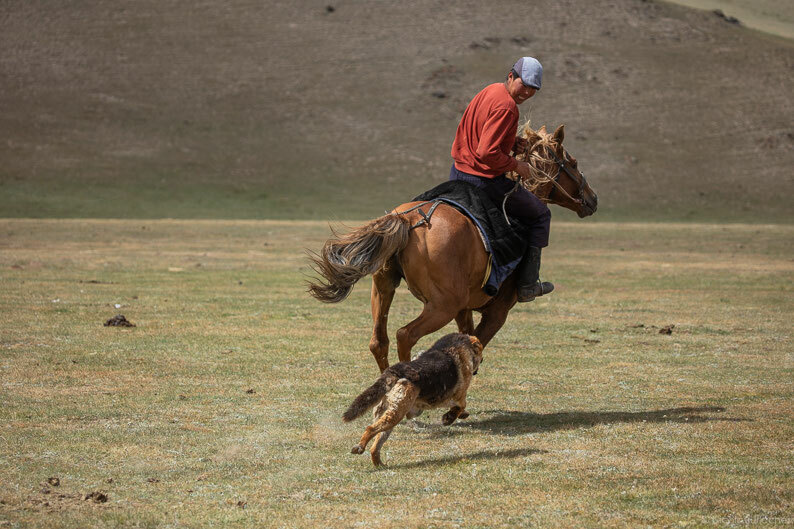 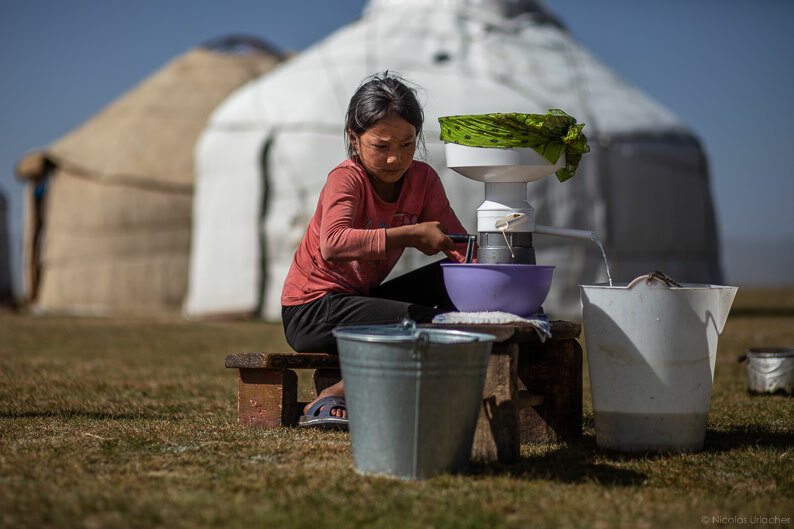 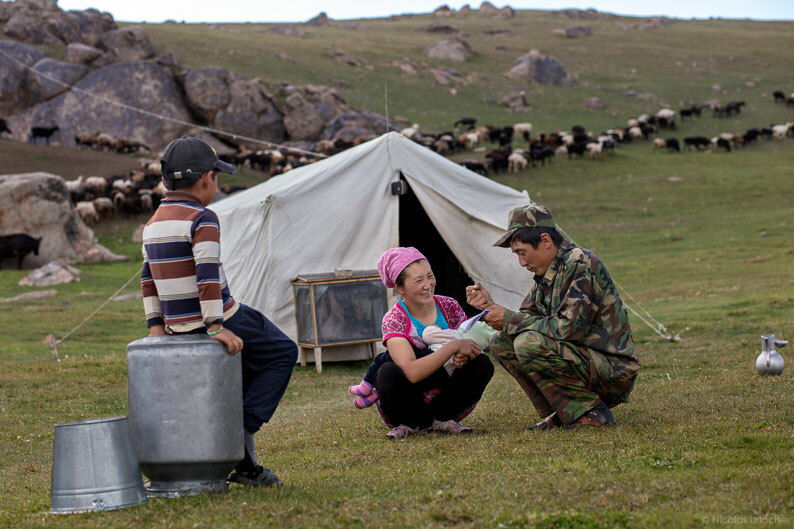 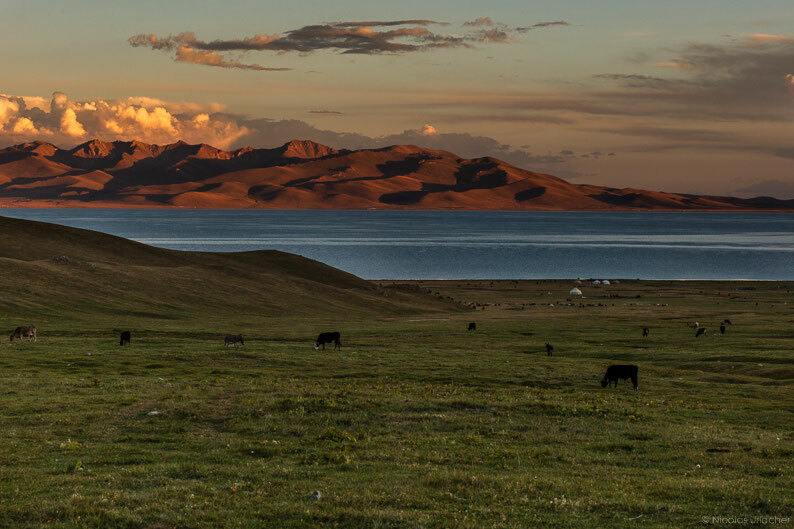 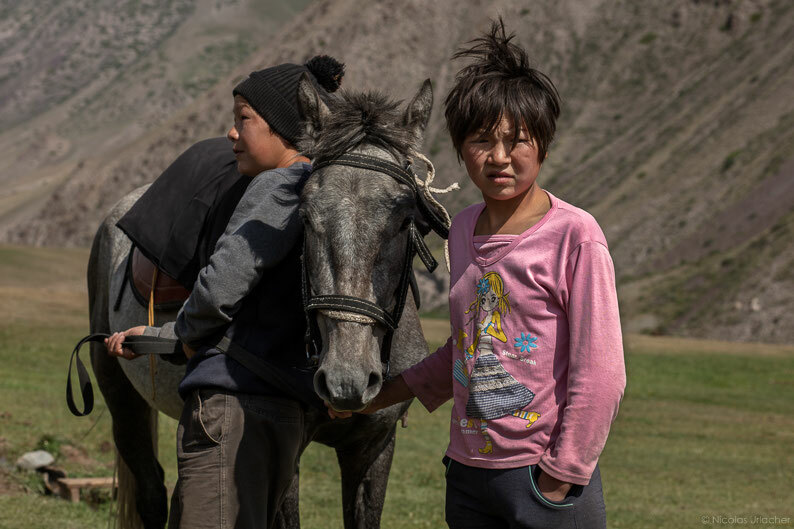 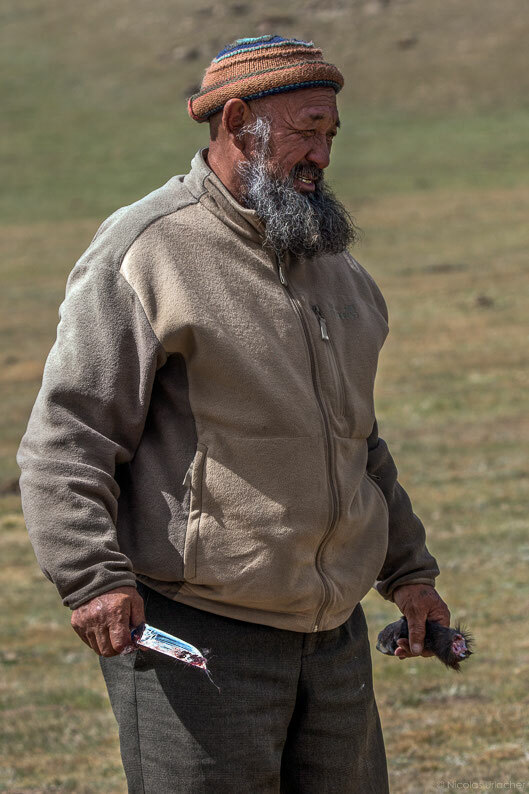 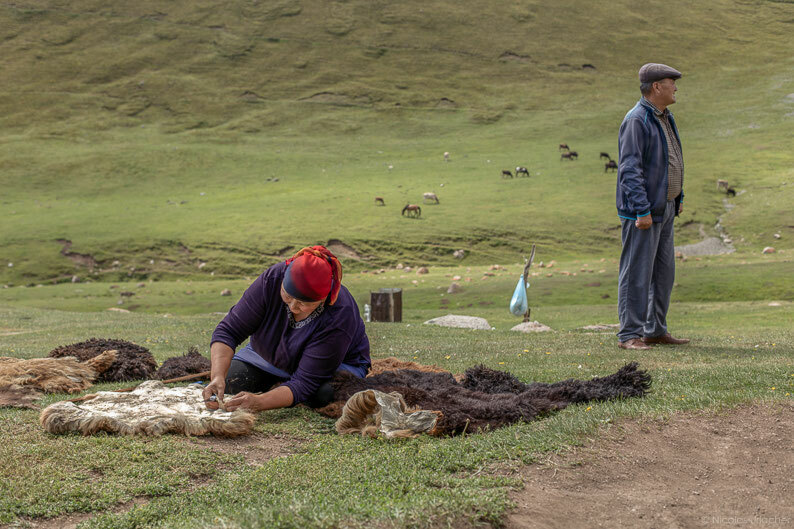 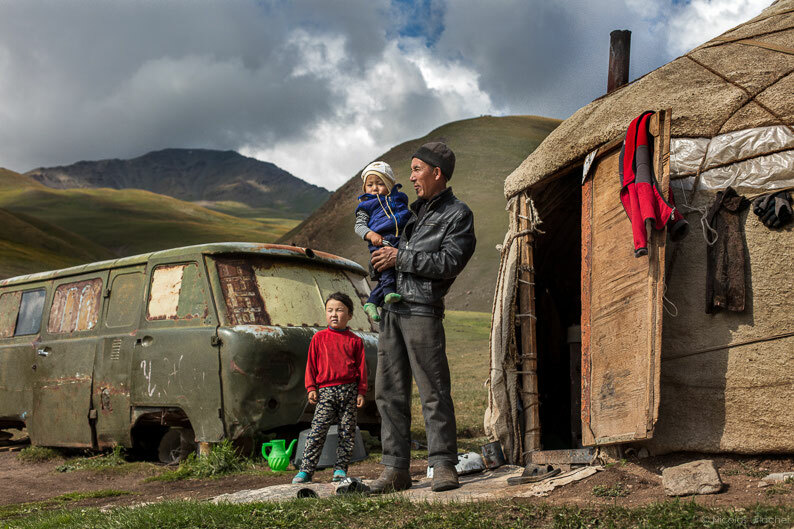 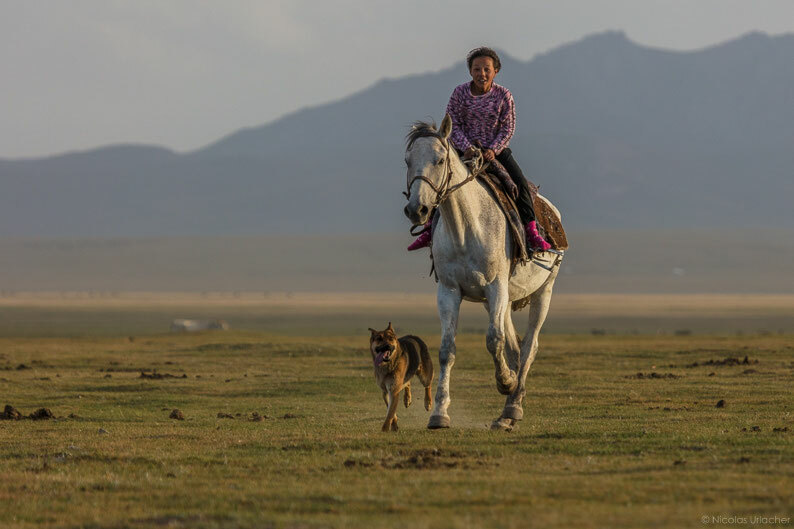 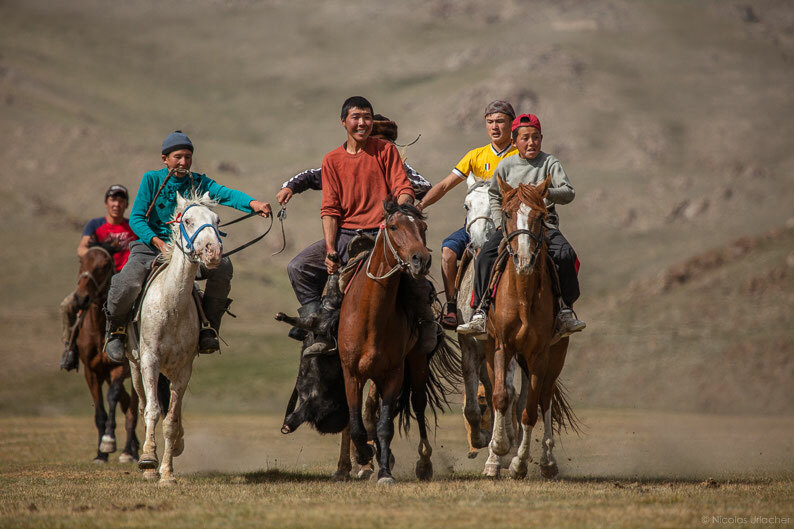 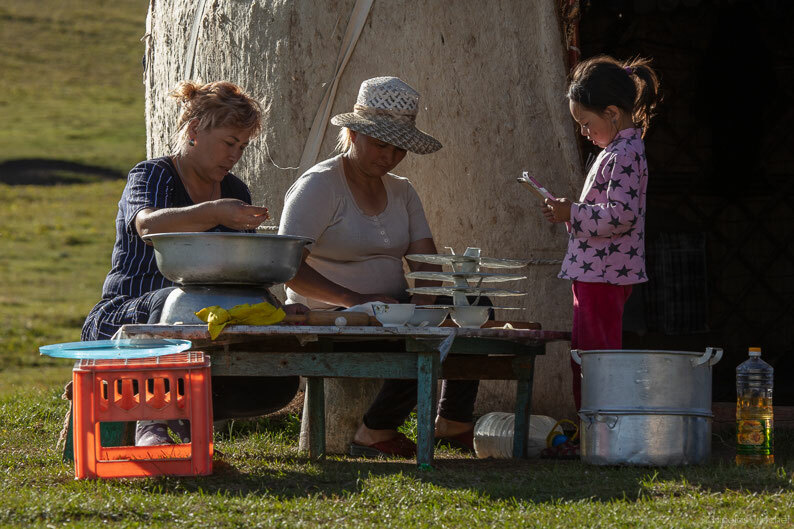 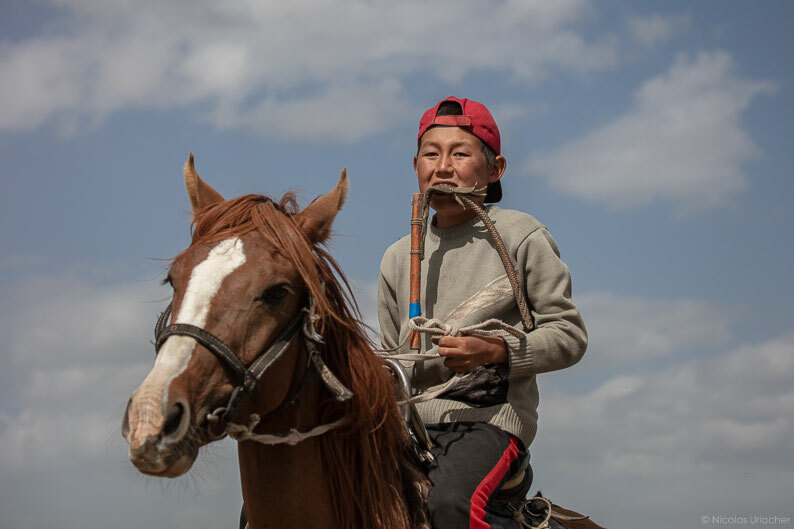 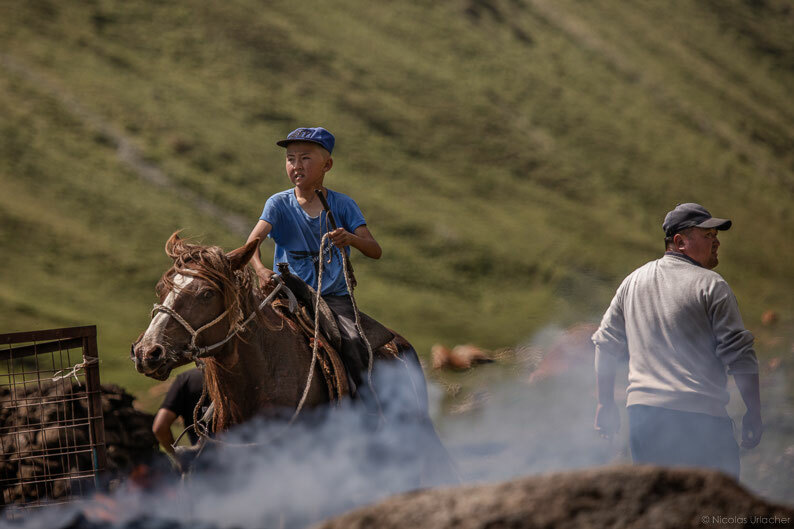 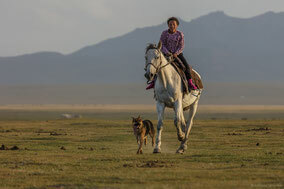 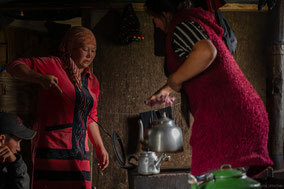 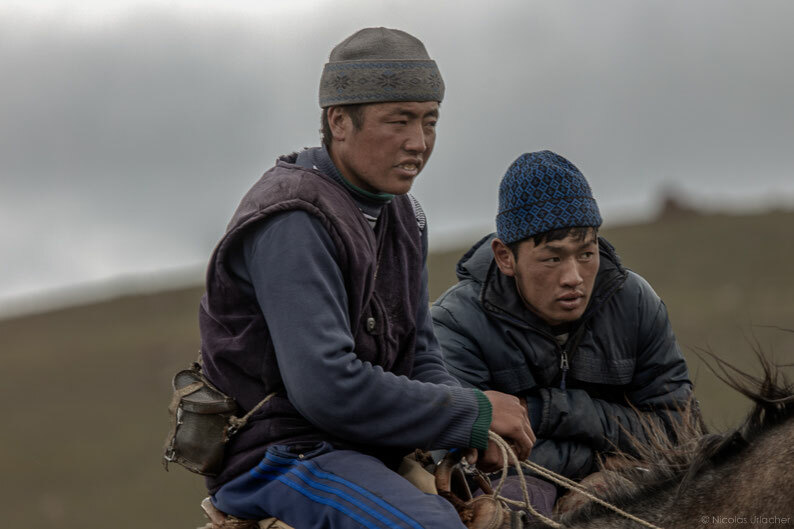 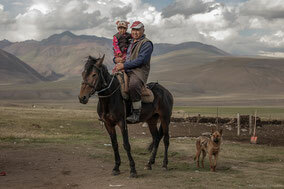 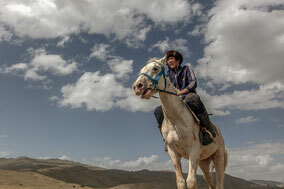 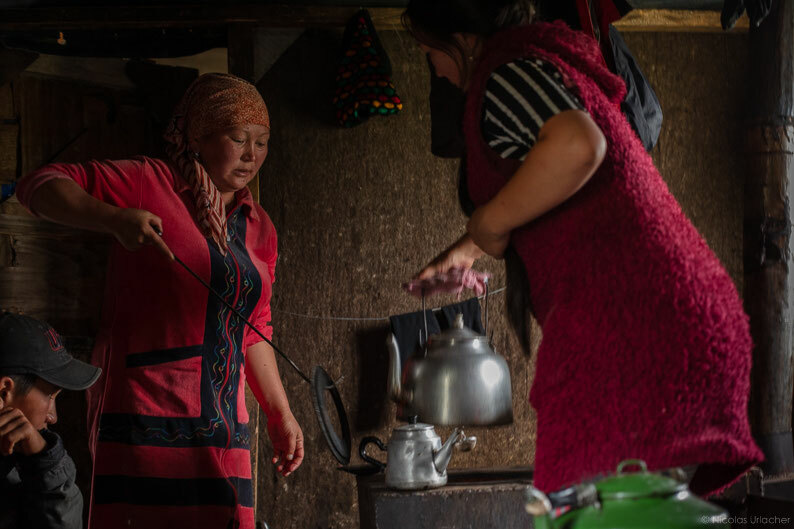 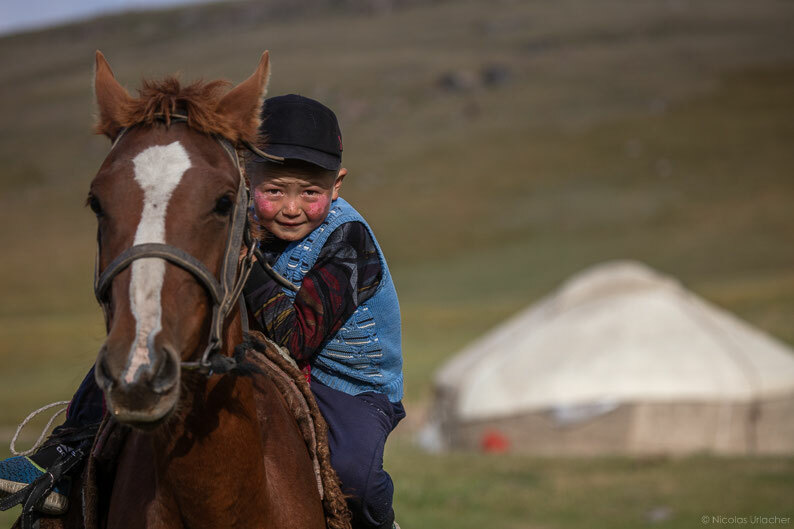 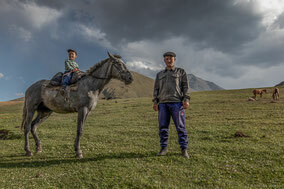 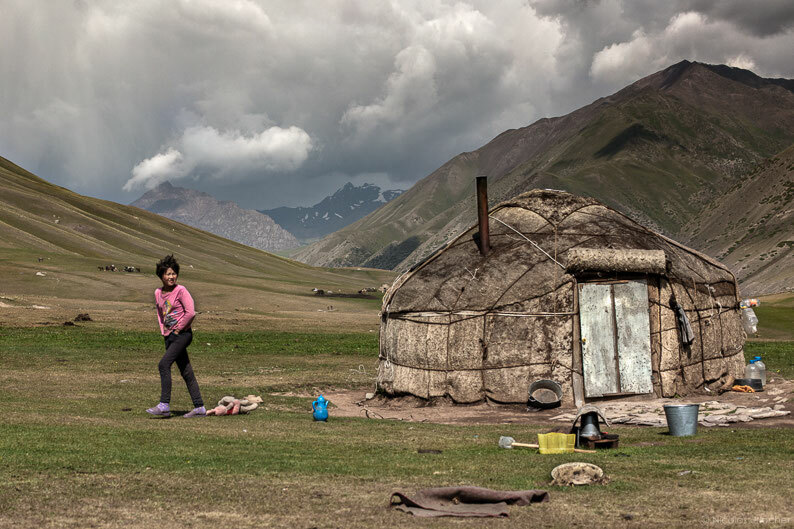 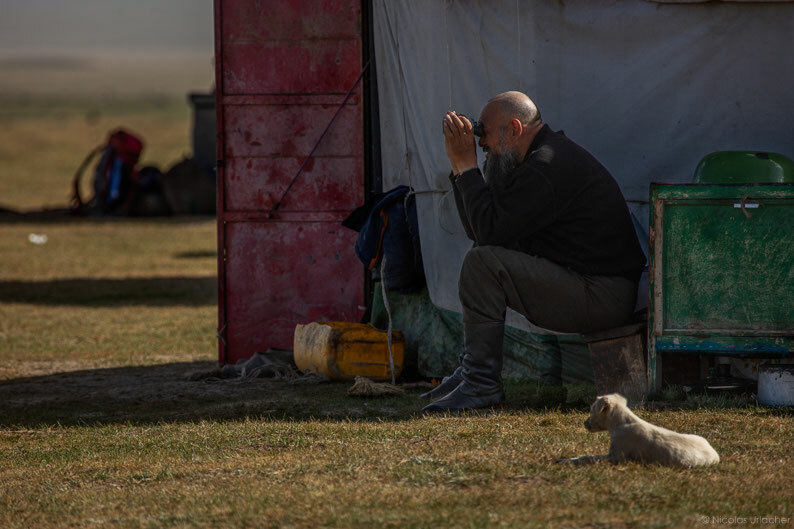 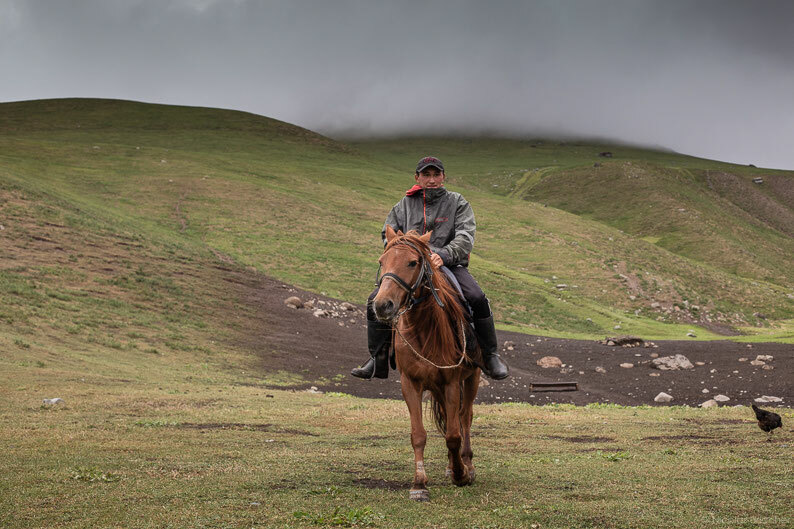 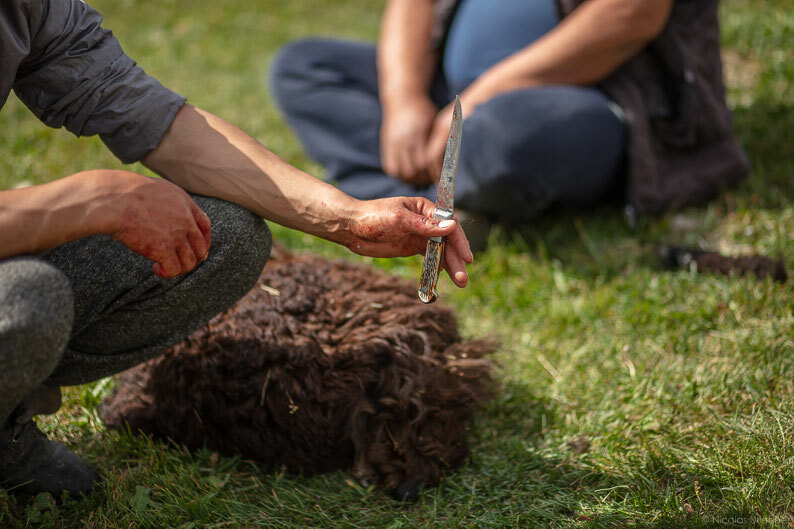 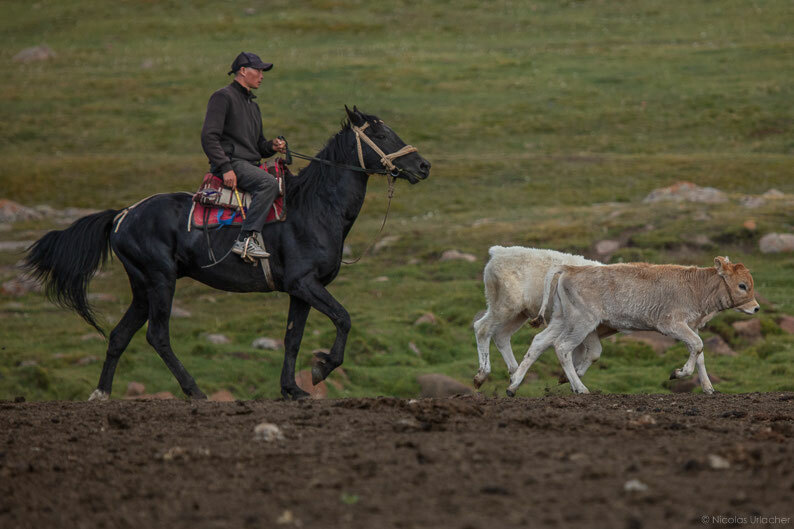 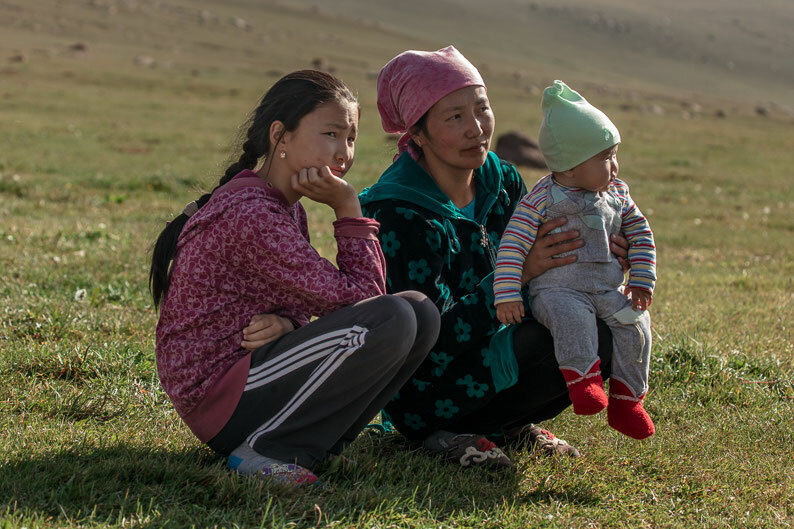 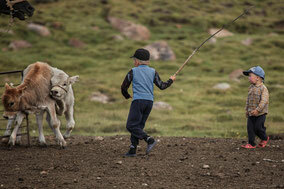 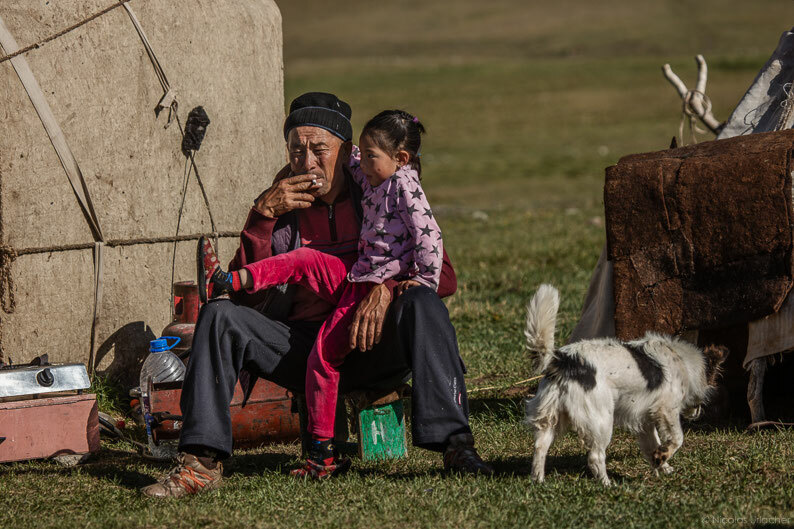 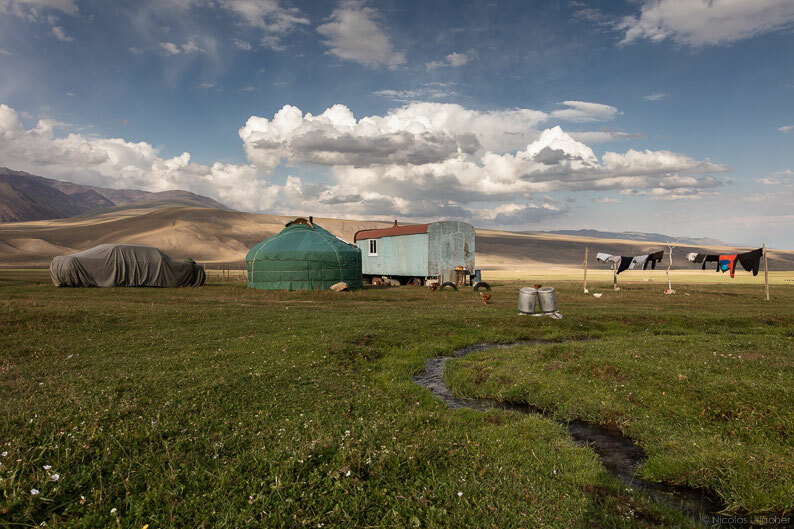 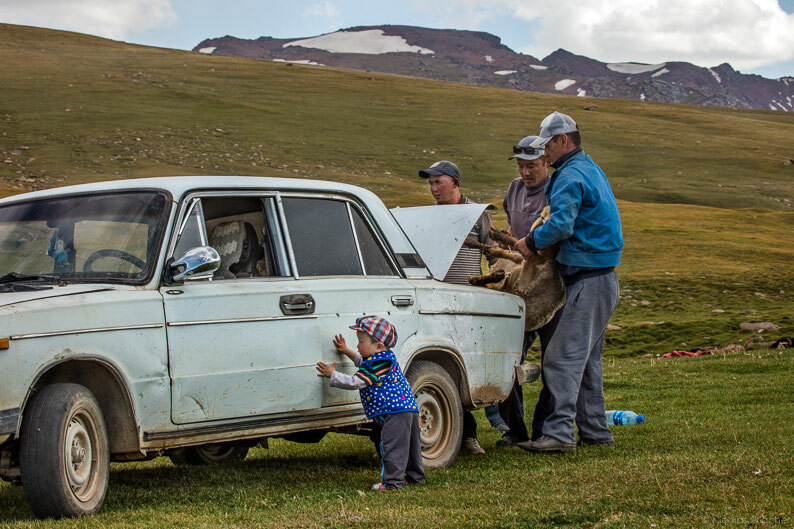 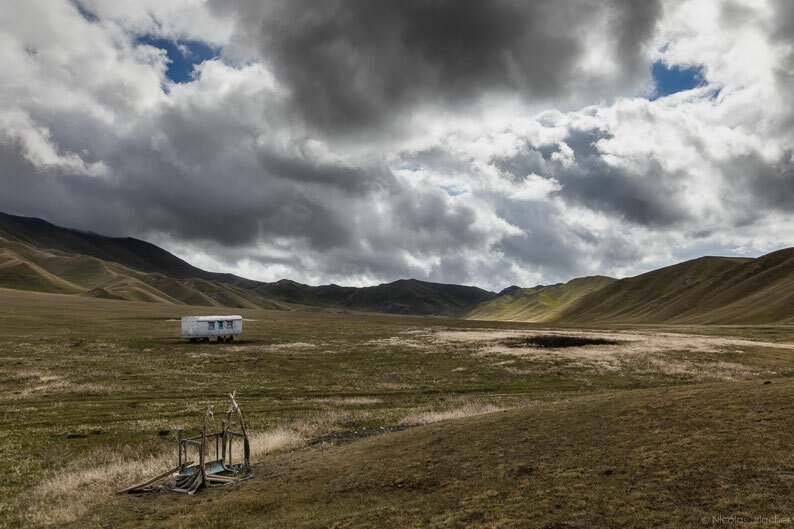 "Jailoo" literally means "summer pastures" and is used to refer to the high-altitude pastures the kyrgyz semi-nomadic shepherds take their flocks to in summer (sheep, horses, cows and goats). 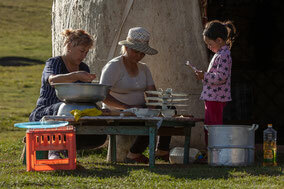 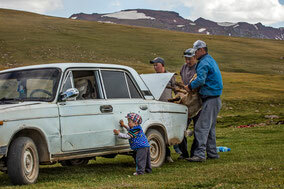 The families spend all summer in those pastures and go back to the villages before the first snow arrives. 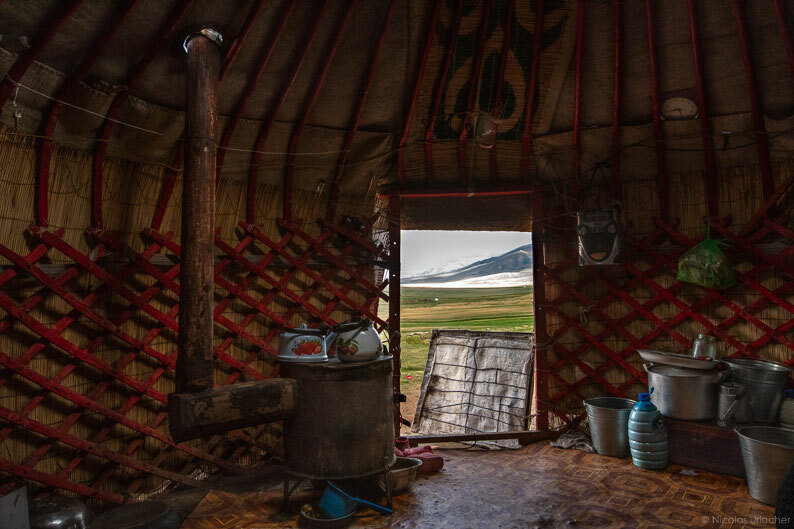 Yurts are the most common housing in the jailoos and horses are essential for the Kyrgyz shepherds as they use them for transport in the steppe, for their meat (they sell the young males after the summer), for their milk, and for the games (you can see my serie "Ulak Tartysh" about this). 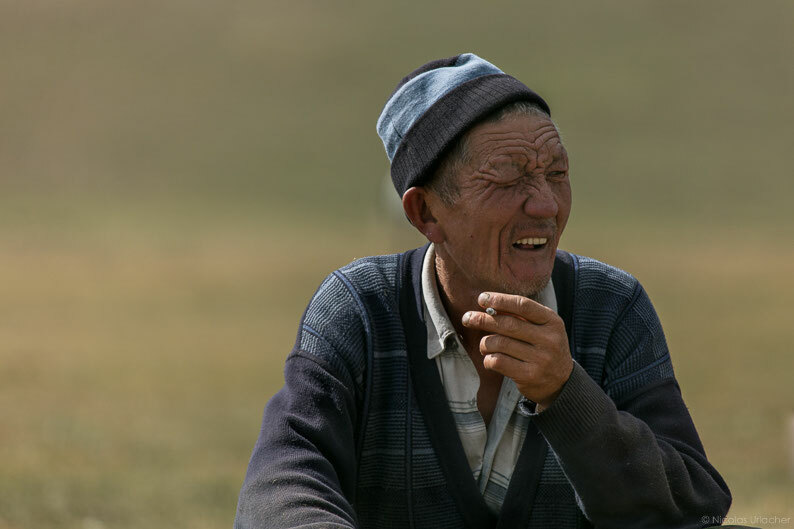 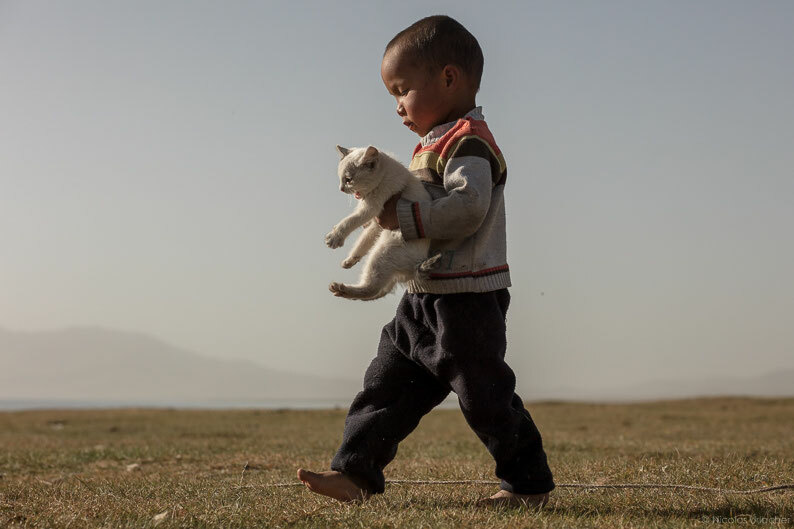 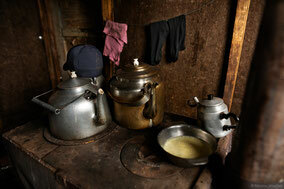 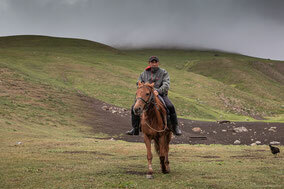 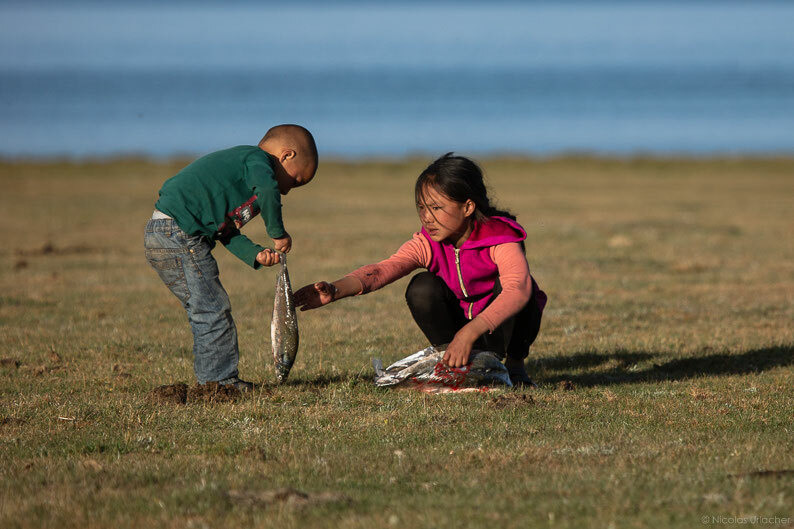 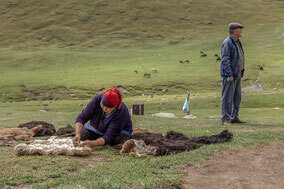 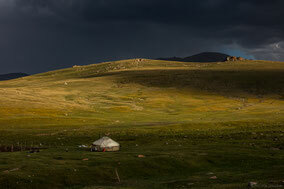 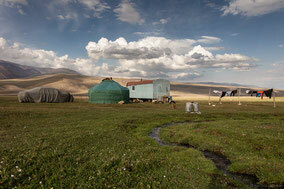 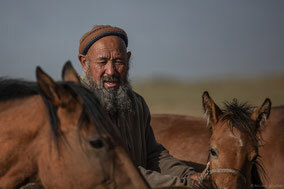 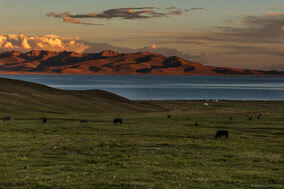 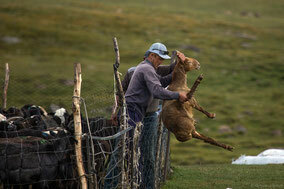 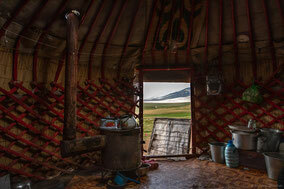 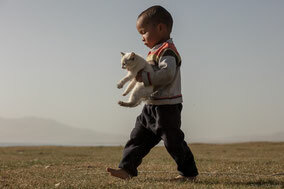 The following photos were taken in the Tian Shen Mountains and on the shores of Lake Song Köl.